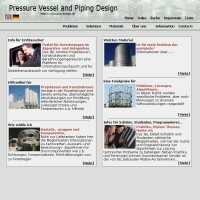 This is a website with software for apparatus and construction engineering. You can free of charge download demo versions of the programs and see them work. You can easily and at good price make numerous calculations online. Due to special and unconventional conditions of a hasty work on structural mechanical problems, for our customers, it was hardly possible to use a standard office software for the management of their projects, orders, offers, and relevant correspondence. Therefore, they used to use MS Excel tables for these purposes. Later Excel tables were replaced by “order processing system”, which made manual routine work such as data entry and management automatic. Considering lack of time and costs, it was agreed with a customer not to waste time polishing interface of the program, but with simple and easy to use modules try to relieve stuff as much as possible. This data base management system can be used for the management of structures and catalogues made to process orders and connected with it correspondence, for prevention of double entries, and to simplify composition of new offers, projects and documents through partial adoption of the old ones. If you start a new project, specific subdirectories, which contain set form pages (MS Word files) for the log books, calculations, sketches etc., will be automatically set up. Composition of new faxes, letters, and emails is simplified through adoption of universal project and address data. The system on customer’s request is performed in Microsoft Access 2000®. Word processing is carried out in Microsoft Word 2000® and by means of data transfer to Microsoft Word 2000®. As an “open” system, this management system can also be used for application of other modules such as business project management including rendering of accounts, payment check, and reminder control as well as for the management of calculations, documentation, experts’ literature, and technical drawings. The stuff will be trained to operate this data base management system. Ingenieur­büro Dr.-Ing. Gert Lau together with Lau Engineering Solutions GmbH runs a free of charge portal for apparatus and construction engineers. In the future you will find there information about constructive solutions, technical calculations algorithms, properties of components and materials, selected specialist books, magazines and articles, as well as interactive data base and calculation programs. Development, updating, and maintenance of this portal are incumbent upon the stuff of LES GmbH. Our company actively collaborates with FDBR – working group dealing with strength calculations and design rules.